One event that can easily abrupt into a major calamity is fires. This element is known to be destructive, hot, and difficult to deal with once it gets out of hand. Nevertheless, you do your part to kill the flames by using a fire extinguisher or calling the fire department. Once the situation has been dealt with, lucky property owners may still find the affected space intact. For the others, however, they are looking at a soot filled room with smoke still lingering in the air. As tempting as it may be, it is unwise to charge back indoors. Though the fire has been put out, walking in the hazardous one without the proper equipment may get you into serious trouble. There are a few substances that are still in the area and if they are ignored, their effects can be felt for a longer period of time. As mentioned, the presence of smoke and soot is still within the affected space. Do not think that just because they can be easily swept by air you are safe inside. It is possible the particles of smoke and soot has gotten stuck on your walls or have penetrated your furniture, and you are exposed to them even further. Constantly whiffing their scent can damage your respiratory system, for they are known to have carcinogenic properties. Sensitive individuals will have difficulty living indoors because particles of smoke and soot can irritate their skin, eyes, and nose. Getting rid of smoke and soot is not that simple, because they are difficult to spot and can get in-between hard to reach areas. Places like your duct work and appliances, for example, react negatively once they have been affected – reducing their efficiency levels and rendering them not fit for use. With the helping hand of Best Cleaning and Disaster Restoration Services, however, you can easily achieve a safe and healthy living environment in no time. 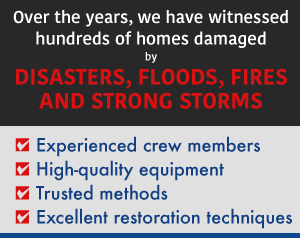 Our company only utilizes the best equipment and methods in dealing all sorts of restoration projects. By doing so, it is certain that your properties are handled with care. When it comes to dealing with fire damage, we will snuff them out by checking every inch of your home to make sure that their presence is no longer within your living areas. Give us a call at: 970-235-9151 or visit our contact page for further questions and inquiries. 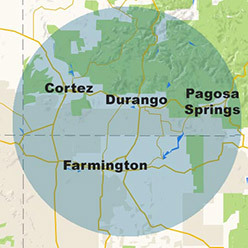 We also have various restoration services such as water damage restoration and disaster restoration, and cater to properties situated in the Four Corners Region (in Cortez, Durango, Farmington and Pagosa Springs).